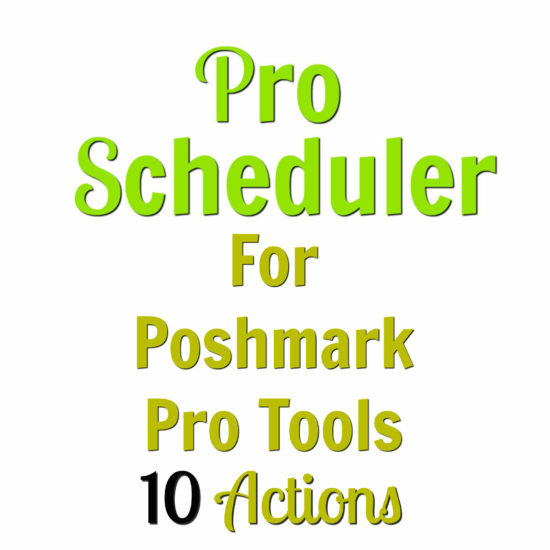 Thank you for you interest in the Poshmark Pro Tools affiliate program! We offer great payouts, we will even pay you if someone signs up for a 3 day trial! YES, they dont even have to buy anything… and you STILL make money! If that person goes on to buy the software, no matter which one, you will receive: 25% of the sale. 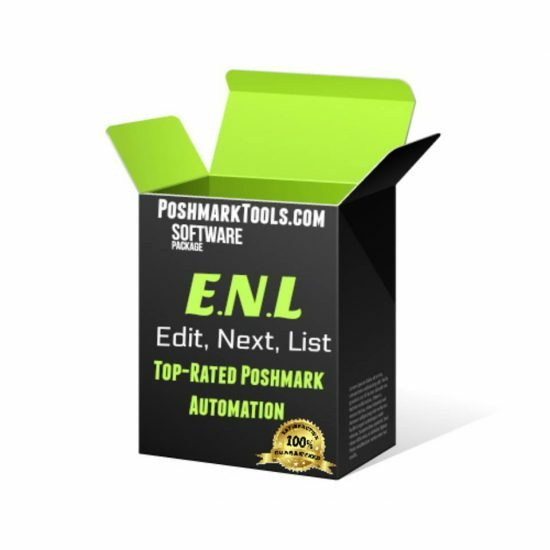 So, if someone buys Poshmark Pro Tools SUITE for $129.99, you will receive: $33.24 per sale. When we say “Veteran Affiliates”, we mean someone who has proven that they can sell our product and whos numbers and stats can vouch for it. If you can sell this software well, there is a significant BUMP in payout percentages. If that person goes on to buy the software, no matter which one, you will receive: 35% of the sale. 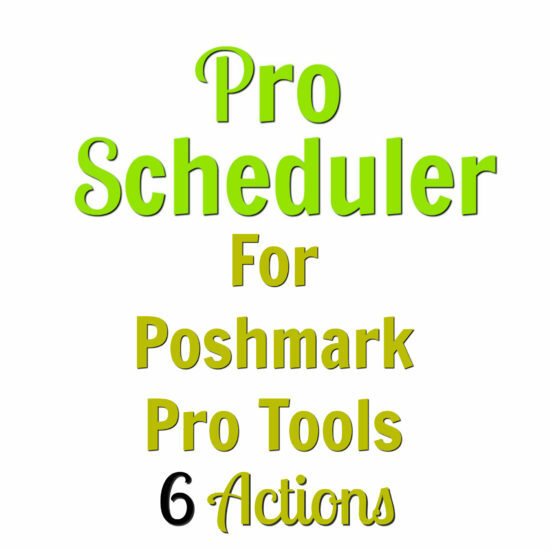 So, if someone buys Poshmark Pro Tools SUITE for $129.99, you will receive: $46.14 per sale. You only need to sell 3 per day to make over $3k per month! This is a unique income opportunity and we are happy to be doing this for people! You can easily crush it and make a KILLING with our popular software! 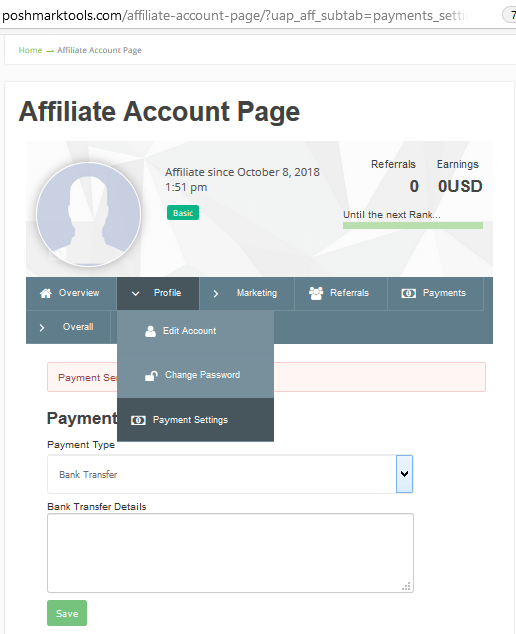 Dear users if you are not sure how to use our affiliate program, then please read following instructions very carefully and you will get an idea about our affiliate program. 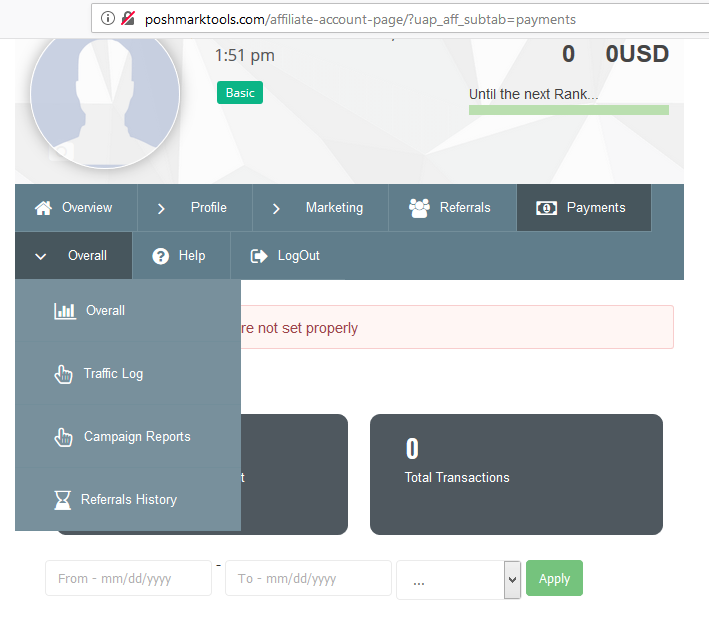 The following information will help you easily understand how to become an affiliate ( even if you are an existing user of Poshmark Pro Tools and have an account on this website ), how use the affiliate system and it’s functionality, how our system works, etc etc. 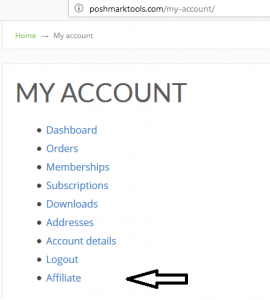 How to become an affiliate if you are an existing user ? That’s It, you are now affiliate. 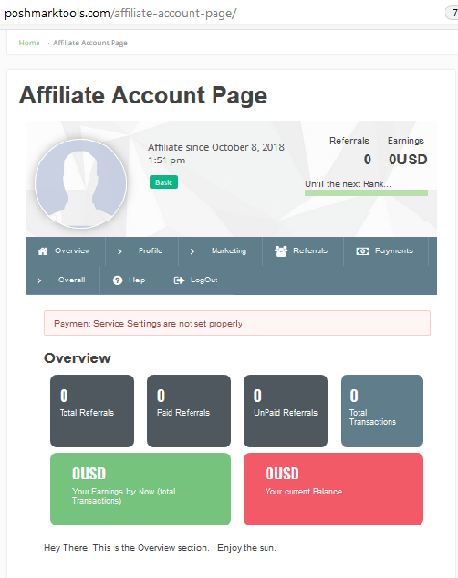 Once you become an affiliate you will see your affiliate area where you can see various things in overview like total referrals, paid referrals, unpaid referrals, total transactions, your earnings and your current balance also you can perform and view various settings like Profile, Marketing, Referrals, payments, etc etc. 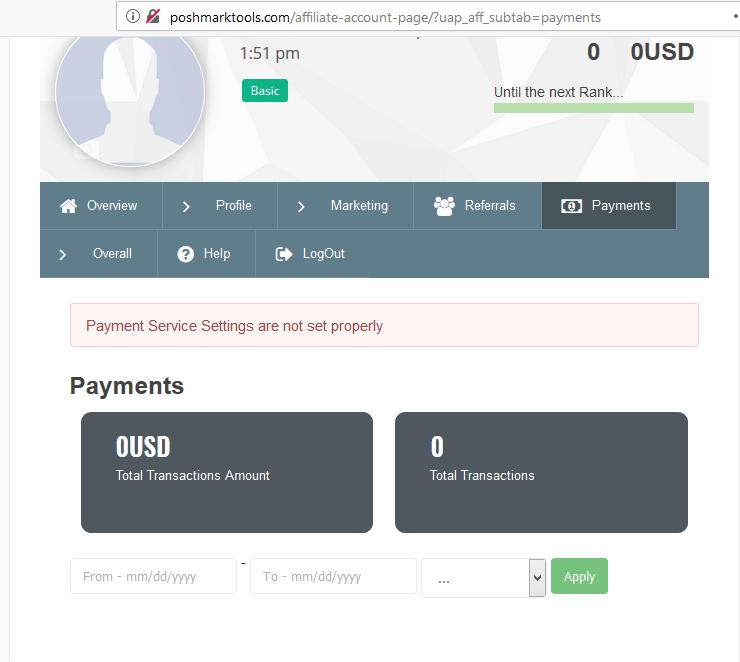 From Profile menu you can see Payment Settings menu which you can use to setup your payment details, means in which payment option you want to get affiliate money. 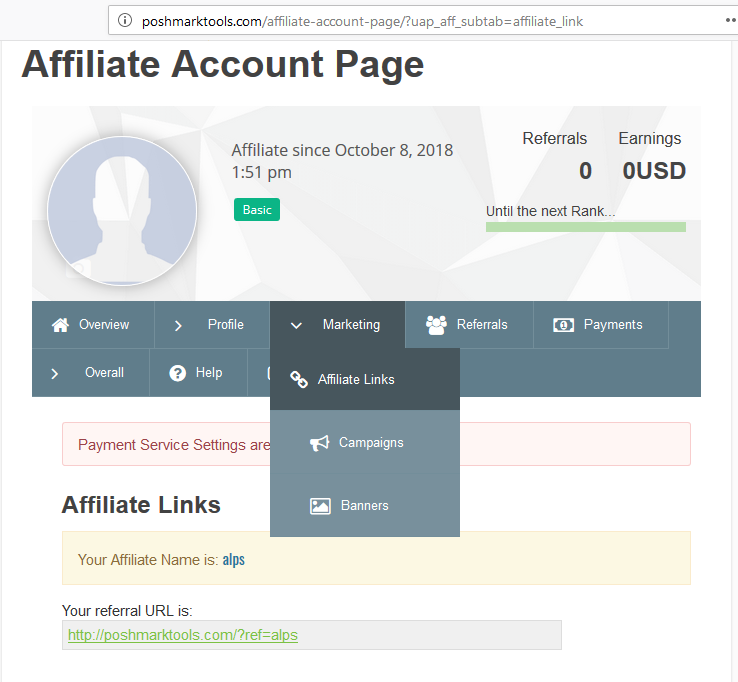 Here from this you can find affiliate link, campaign and banners information which you can easily use and share with other people over social networks, chat, whatsapp, or skype. On this page you can see your earnings and payments comes to you, you can also filter payment records by date. 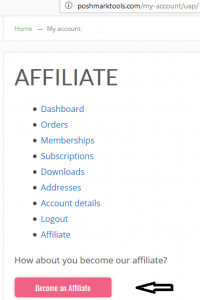 Here in this page you can see affiliate logs like traffic, Campaign reports and Referral history.